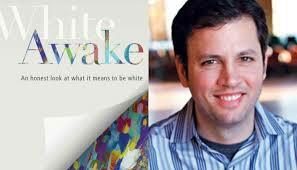 White Awake by Daniel Hill - A Must Read! I frequently encourage the white participants in my Reconciliation and Justice book groups to read more authors of color. I provide my students with recommendations ranging from Brenda Salter McNeil, to James Baldwin, bell hooks, Michael Harriot, and Michelle Alexander. However, there are times I think the best person to reach people (especially white folks early in their journey to deeper understanding) is actually a white male—a white male who has grown up in privilege, made all the beginner mistakes when trying to be an ally, fallen down, gotten up, brushed himself off, and tried again. That is where Daniel Hill comes in. I recently was able to participate in a meeting with some of the leaders at my church and Daniel Hill. Daniel Hill is a pastor at River City Community Church, a multiethnic church in the Humboldt Park neighborhood in Chicago. He is also an author. I was first directed to Daniel’s book, White Awake, by Dr. Brenda Salter McNeil, a reconciliation leader and church pastor here in Seattle. Here are some links to cut and paste to Daniel’s website and his book on Amazon. I’ll just say now that any white person in this country interested in working towards eradicating racism and building reconciliation should read White Awake. Amid so many gems, one of the most fundamental lessons of Daniel’s book has to be how he breaks down the two tracks we must use when discussing anti-racism and reconciliation work. These two tracks are interdependent and inseparable. The first track is to consider Ethnicity and Diversity. Daniel, being a pastor, would be the first to call ethnicity, “God given and God created.” His point is that our different cultural backgrounds are valuable and worth acknowledging without self-consciousness. This is in direct response to people (often white) who are uncomfortable even talking about race. They will insist they are “colorblind,” which is of course a huge mistake. Striving to be “colorblind” only leads to the dead end of ignoring the undeniable fact that people of different ethnicities and skin colors experience the world in different ways. As a white male, when I see a police officer, I generally feel safe. But for my friends of color, they have a fundamentally different experience. The second track is that of Race, Racism, and Discrimination. Daniel makes the critical and valuable point that THERE IS NOTHING REDEEMABLE ABOUT THE CONCEPT OF RACE. It is evil. I agree. Hear me (and us) out. Race, is a construct that is human-made, not only that, but it was created and propagated by European colonial powers as a justification for colonialization, slavery, exploitation, oppression, and genocide. This aligns with Brian Stevenson’s (author of Just Mercy) concept of the false Narrative of Racial Difference. This is the notion that points to ethnic differences, which are fine unto themselves, but then assigns different values to those ethnic differences. This is the essence of racism and I think Daniel is right to call it out as evil and unredeemable. Daniel goes on to point out that to discuss just the first of these tracks without the second, is often what we get in the corporate sector when we attend mandatory gender, equity, and diversity trainings. Those can be useful, but without acknowledging the second track in these discussions, we’re not getting to the root of the problems that require us to have gender, equity, and diversity trainings in the first place. As Daniel is a pastor, his core arguments against racism rest on scripture and tenets of faith. I know this might pose a challenge for those of us progressives who sometimes seek resources and justifications for anti-racism and equity work that are not associated with the faith community. This is understandable (which might be surprising to hear from a deacon). The church has so many times been on the wrong side of these discussions and so many people from marginalized communities have been church-hurt by bigoted religious folks, that association with the faith community can taint some equity and justice resources. It’s sad but true! See: Westboro Baptist Church (ugh gross, I don’t even like typing their name!). As a result, I know there are times equity leaders are required to step away from religious affiliations and references which can be divisive or triggering to some. But Daniel’s work can be translated to the secular sphere seamlessly, as he does for his trainings and consultancies with government agencies. A middle way might be to borrow from the recovery community and 12 Step programs. As equity leaders and change agents we can recognize that racism, like addiction, is a social malaise and even a disease at the level of the individual. But these afflictions can be overcome through building community, honest self-examination, and spiritual (but not necessarily religious) growth. So, my heart is full of thanks for Daniel Hill, an influential thinker/activist, a powerful speaker, and gifted writer. His book is a must read! Newer PostTo Write Well, Don't Write.